Foundation mare Elmarina 877 (chestnut, 158 cm) was born 1907 by Senator out of Elma by Condor out of Silberbraut by Salomon-Carnation. She was imported to Sweden from East Preussen. Elmarina 877 died 1927. 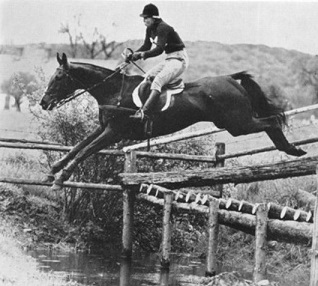 Elmarina left eight offsprings of which one mare in the Studbook, Anita (31) 2004 (born 1923 by Attino). Anita (31) 2004 left four mares in the Studbook, Aja 3152 (born 1936 by Kyffhäuser), Ally (31) 3282 (born 1937 by Kyffhäuser), Aina (31) 3612 (born 1939 by Lux 154) and Amajka (31) 3812 (born 1940 by Lux 154). 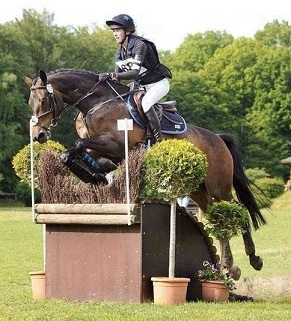 Click here to see Elmarina 877 and her descendant in the Swedish Warmblood Association database.